Equipment sensors are nothing new for factories. 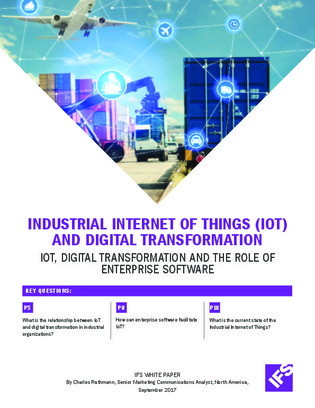 But the way manufacturers are able to use IoT devices has changed rapidly in the last few ways, as costs have dropped and cloud computing has enabled large amounts of data. But how exactly can organizations benefit from adding more IoT devices, and how can they integrate them with ERP and field service management platforms to become more efficient and customer friendly?